The Tourism Ministry has reached a decision about the level of the national park entrance fee for foreign visitors. Tourism Minister Kobkarn Wattanavrangkul, recently held a meeting with executives from various state offices and representatives of the private sector in Krabi Province to discuss a resolution from the advisory committee on national parks and tourist safety. 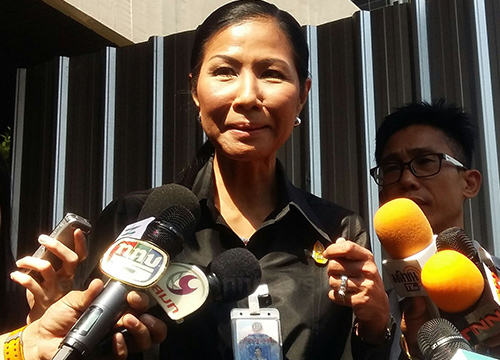 Mrs. Kobkarn said that the committee’s latest resolution recommended the national park entrance fee for foreigners remain at 400 baht but an updated, standard system to ensure the efficient administration of all parks, should be introduced. She added that the new system would also help the authorities bring order to the country’s tourism management and improve the quality of the tourism industry by controlling the number of tourists, the number of ferries visiting relevant islands and their safety standards as well as the allocation of the collected entrance fees to the local governments.